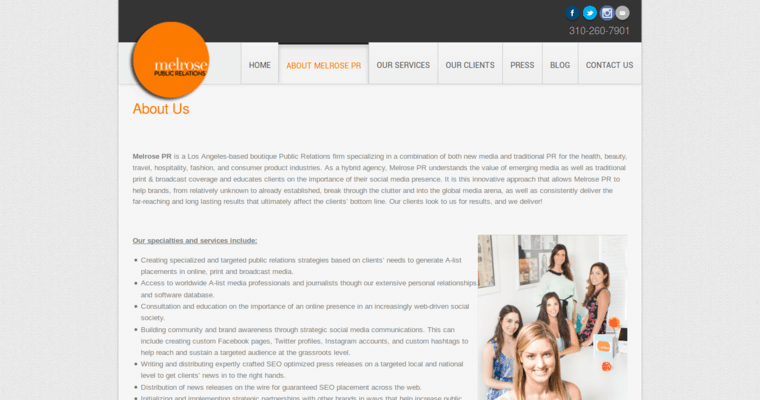 Melrose PR is a public relations agency that works in the industry of digital and web media management. 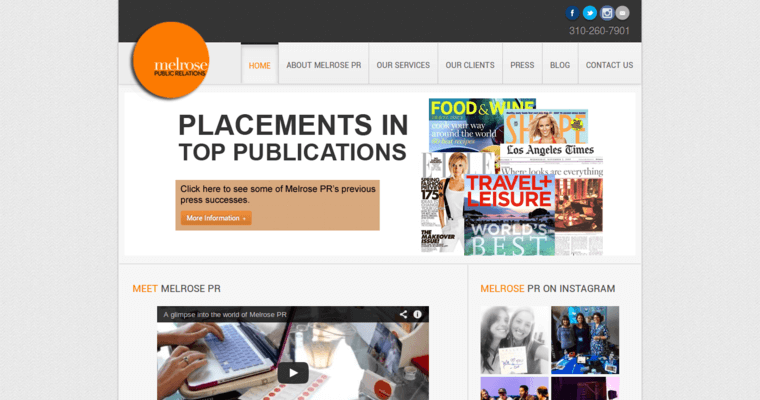 Melrose PR serves as a way for clients who want to engage in the field of business to increase their presence by using new tactics. These tactics are taught by the many artists, campaign managers, designers, developers and bloggers who have a knack for making designs and using the web to achieve goals. There are several services that are offered by the company here, such as using search engine optimization. This is where programmers tag a client's website with keywords and plug them into a search engine so that when people look those words up, the website is among the first results to show up on the front page. Designing a website is aka important because first impressions are everything and people will easily flock to a site that simply looks professional.